on Nitecore's web pages for the "SC2 superb charger", there is no shortage of superlatives. Charging with "Infinite Intelligence" certainly is the boldest claim. See for yourself >>> HERE <<< in my review video on YouTube. So I tried to find out more about the limits of this "active charging with infinite intelligence" thing. Gearbest sent me a unit for review and I put it through a few tests to see how it performs. The charger feels quite tough & beefy to the to touch. The kind of plastic that doesn't feel plasticy, but rather reminds of high quality power tools. A good start. But why-oh-why are the settings for the current and max. charge voltage printed on what looks like a sheet of protective film that easily comes off the display. I'm sure if I don't constantly use that charger, I'll have forgotten what which LED means what after a few days. 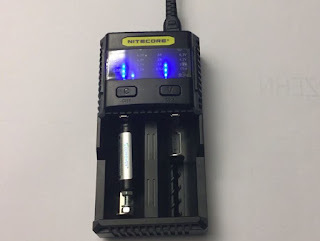 Nitecore has to do something about that in the next iteration of the SC2. Now this should be what is at the heart of this ominous infinite intelligence. 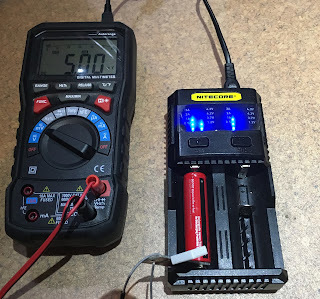 The traditional way to determine the battery's capacity is to discharge them and measure the capacity that they charge to, possibly adding another discharge/charge cycle. 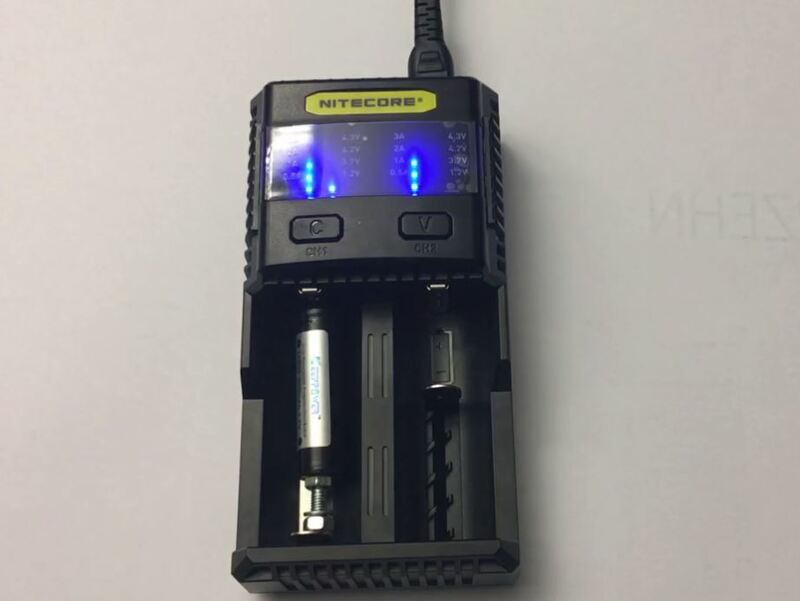 Nitecore's web pages claim that it automatically detects the battery's capacity and sets the charge current accordingly. So come on SC2, impress me! First, I have to know about my cell's actual capacity. 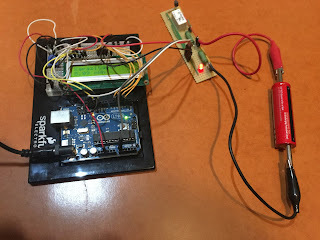 To find that out, I use an improved version of my previously published Arduino battery tester. As cells with the same size charge at the same current, I wondered what happened if I make the 14500 appear bigger. So I inserted a spacer with the 14500 cell. The assumption that bigger cells hold more capacity might on the whole be correct. But we all know that there are good and bad cells and that makes way more of a difference than the size. 3,8V Li-Ion cells. I've never had or seen any of these, But as they are indistinguishable from a 3.7V cell, The charge voltage needs to be set manually. While I had initially observed some brief overvoltage conditions, All the voltage (and charge curves I took) did not exhibit that phenomenon. 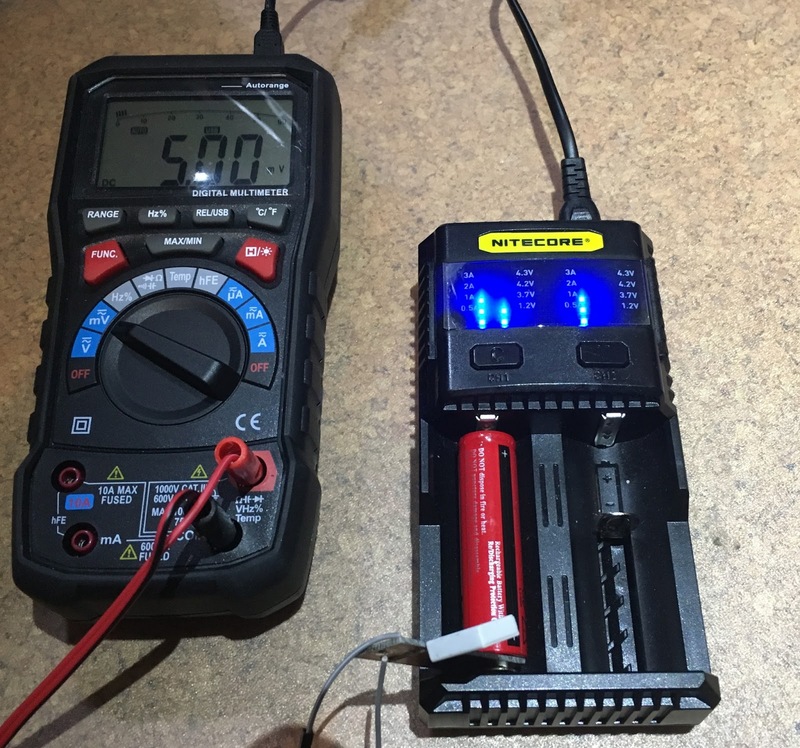 I did many of the long-term measurements with PC on the USB-Port of the bside ADM20 Multimeter that I quite like. I also got from Gearbest to get a better grip on some problems I suspected with the SC2 charger. The multimeter turned out to be quite hackable. But that will be a whole new blog entry & video. Great charger if you're in a hurry. Very fast and reasonably safe. Supports all currently available battery chemistry types. 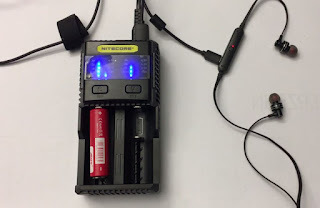 Sometimes has trouble disabling the protection circuit in KeepPower batteries. Needs help choosing the right battery chemistry.